Dear believers do you have an experience of the power of prayers? I was admitted for four months in the hospital and went for treatment. But later the doctors gave up on me and said that I have left only few days to survive. They asked me to go home. I had no hope and was counting my days, one day; a friend of mine had come to visit me. He told me that I should go to a village called Shrirangpur as there is a church which worships on Saturday. He further told me that the members and the pastors will pray for me. I thought that any way, I will be dead in few days and why don't I go and see this church. 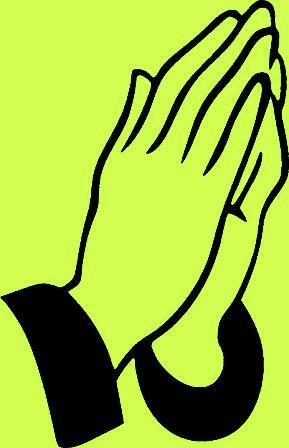 The Power of Prayers are very important in everyone's life to have an experience of it. On the Sabbath day, I went and requested the people to pray for me. The church pastor applied oil on my head and prayed for me. He also told me to come regularly to church. The following Saturday also I went and Pastor was there and he offered a special prayer for me. I felt very good; the pain seems to be less. After seeing the warmth and hospitality of the church members, I felt the desire of living. For the past three months, I am improving a lot. I also decided to take baptism and conveyed my desire. The pastor was very happy and baptized me. I gave my life to Jesus Christ. Now, I am not worried of my death. As long as God want me to live, I will live happily believing Jesus Christ. After joining church, I have peace of mind and desire to live a good and temperate life. I have left all my bad habits of smoking and drinking. I have faith in Lord Jesus Christ that He is going to completely heal me. I also need your prayer, my church members are praying for me. Copyright © 2017-18 Famous Bible Stories All Rights Reserved.